MOD-IO2 is stackable development board which adds RELAYs and GPIOs to any of our development boards with UEXT. 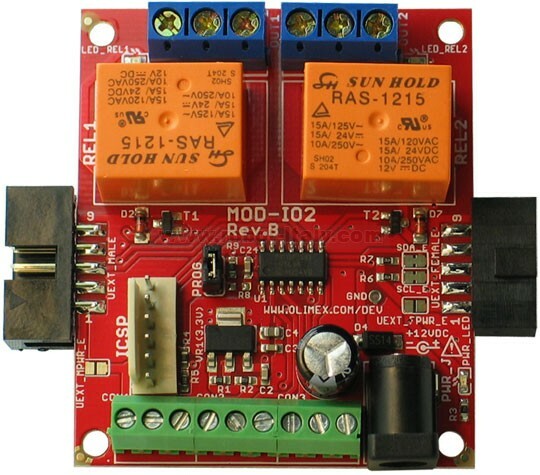 MOD-IO2 is stackable development board which adds RELAYs and GPIOs to any of our development boards with UEXT. 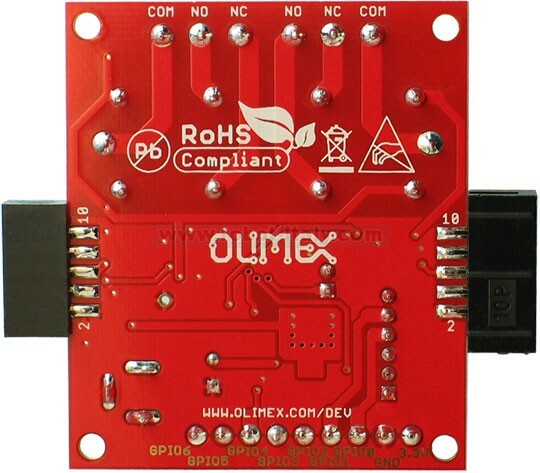 If you work with any of our development boards with UEXT connector and you need more GPIOs and/or RELAY outputs you can add these by connecting MOD-IO2 to your development board. 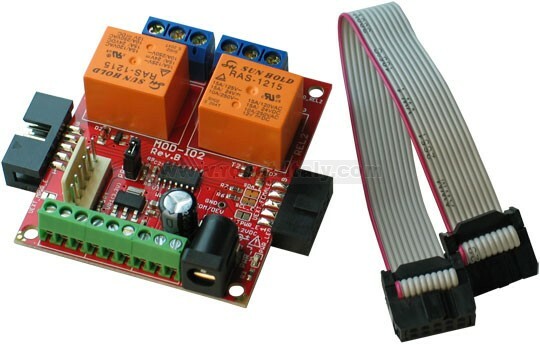 This board allows easy way to interface up to 2 relays and 7 GPIOs. MOD-IO2 is stackable and addressable, what does this means? These boards can stack together so you can add as many input and outputs as you want! E.g. 2-4-6-8 etc.! 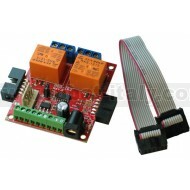 MOD-IO2 has PIC16F1503 microcontroller and the firmware is available for modification.